The cycle of the cricket world cups has entered in the world cup year, with the onset of 2019. Teams all over the world are looking forward to making and identifying a potent team line up, which can fulfill their world cup dreams. 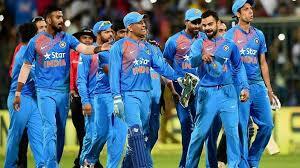 After the completion of the New Zealand tour today, there are many answers which the Indian team has already got. 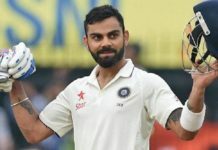 Let’s look at what answers the Indian team has as of now for it’s best 11 which will play in the world cup and will try to get back to India after 8 years. The openers pick themselves up in the squad. Ever since Dhoni introduced this new opening pair for India in the champions trophy of 2013, they have established themselves as India’s mainstay openers. In fact, they have been terrific for India as a pair. In terms of numbers, they are the second most successful opening pair in the history of ODI cricket, standing behind the mighty Tendulkar-Ganguly pair. They are the core of India’s batting, and their consistent performances have proved it. The captain of the Indian cricket team, Virat ‘Superman’ Kohli is one of the best batsmen in this world right now. He has been shattering records for fun, and has 39 ODI centuries, out of which 24 have come while chasing. He is the master chaser and controls the game with his magnificent skills. Although Shastri hinted that India might play Kohli at 4 in the world cup in a recent interview. It seems highly unlikely that they’ll do so. So, India’s top 3 select themselves in the squad, and there’s no doubt that they are one of the best top 3 in the world right now. In spite of all the controversies which have surrounded him in recent times, K.L Rahul is the best choice for the reserve opener. In the recent game against England Lions, he fared quite well, scoring 89 runs. India tried Shubman Gill at no. 3 in New Zealand, but it seems that he’ll take some more time to cement his place in the squad. So, in these conditions, it’s most probable that India will have K.L Rahul as the reserve opener. Since the 2015 world cup, India has tried as many as 9 players at no. 4 position. 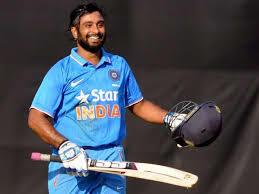 Luckily, just as the world cup year started, India seems to have settled with the idea of Ambati Rayudu as the no. 4 for the world cup. He is an experienced player, and averages around 50 in ODIs. He recently performed really well in New Zealand and was India’s top performer with the bat in the series. There is no one in the cricketing fraternity who can do what M.S Dhoni does for India. Behind the stumps, he is as quick as ever. 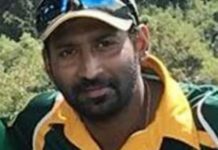 He runs between the wickets like a panther at the age of 38, and acts as an on-field coach for the spinners. Apart from that, he sets the field and assists the captain in crunch situations. He brings calmness in the atmosphere and keeps the players at ease. The only concern was his batting. But, he has responded to this concern magnificently. He was anointed the ‘Man of the Series’ in the recently conducted Australia ODi series, and was not-out 2 times out of 3, when he came to bat and scored consecutive half centuries in the 3 match series. He seemed in rhythm in the T20 series in New Zealand too, and that’s a great sign for India going into the world cup. Dinesh Karthik, will be the reserve wicketkeeper for India in the world cup. 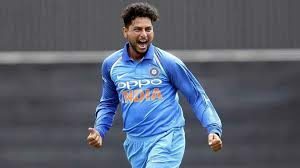 He also brings a lot of experience to the table, and his finishing acts with the bat in the recent times have more or less fixed his spot in the 15 member world cup squad. He is a vital asset for the team down the order, and he and Dhoni can both play alongside each other depending on the team combination. This strengthens the lower middle order greatly. Kedar Jadhav has been a really valuable asset for India. He is a very capable and inventive batsman right down the order and gives his captain 5-7 overs regularly every match. Moreover, whenever he bowls he has a knack of picking up wickets, which strengthens the team position greatly. He also becomes the sixth bowler for the team, and can act as a cushion for a bowler who could have gone for runs. In batting, he is capable of getting runs quickly, which helps the team to finish well. So, he’s an integral part of the Indian team in the world cup. 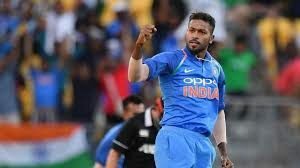 Hardik Pandya is an essential part of Indian tea, and with the world cup taking place in England which helps the seam bowlers, his place becomes even more imminent in the team. He has improved a lot in his bowling and is now providing 10 overs consistently for his captain. He also has a habit for picking wickets between overs 30-40, which will help the team immensely in the world cup. His firepower with the bat also provides great stability to the team combination. His abilities in the field are precious, and this makes him the ‘x’ factor for the team. Depending on the conditions, India can also play Ravindra Jadeja as the third spinner and the all-rounder. He has improved his batting and is consistent with the ball. 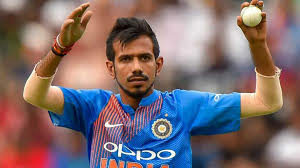 In terms of fielding, he is the best fielder this Indian team has. So, Jadeja and Hardik pick themselves at the all-rounders. India is blessed to have two world quality wrist spinners in their setup, in Chahal and Kuldeep. 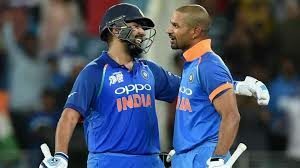 They are essential for maintaining the runrate in the middle overs, and they repeatedly picked up wickets in the middle overs in overseas condition also, which puts a break on the opposition’s innings. They have been the key to India’s success in ODIs in the recent times, and provide an edge to Indian bowling attack. The biggest standout feature of this Indian team is its fast bowlers. Bumrah is currently the no. 1 ODI bowler in the world, and is brilliant both in the start and at the death. In fact, there is hardly ay death bowler better than Bumtrah in death overs. 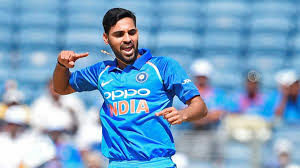 In recent times, it feels that Bhuvi has also got his rhythm back, and is regularly picking up wickets in the top 10 overs. However, the best thing to happen to this attack is the addition of Mohammed Shami as the third seamer. He has been absolutely magnificent in Australia and New Zealand, and he also bagged the man of the series in the New Zealand Series. This seam attack variations, with pace and seam and this, adds a lot to the team. So, these three seamers pick themselves in India’s world cup squad. 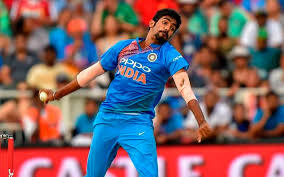 In this squad, there’s still a possibility that Vijay Shankar can be chosen as the second all-rounder ahead of Ravindra Jadeja, keeping in mind his seam bowling option and prowess with the bat, and a calm head. But this can only be confirmed after the India – Australia ODI series. 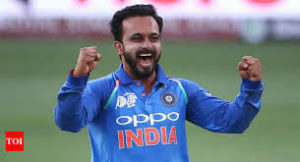 So, here’s the prediction for India’s world cup squad – Rohit Sharma, Shikhar Dhawan, Virat Kohli (c), Ambati Rayudu, M.S Dhoni (wk), Dinesh Karthik, Kedar Jadhav, Hardik Pandya, Ravindra Jadeja, Yuzvendra Chahal, Kuldeep Yadav, Bhuvneshwar Kumar, Mohammad Shami, Jasprit Bumrah.